What Shape Should My Sleeves Be? Sleeves please – I’m a H/O shape, and always wonder if I should have my sleeves shortened as a full sleeve makes me look bigger. 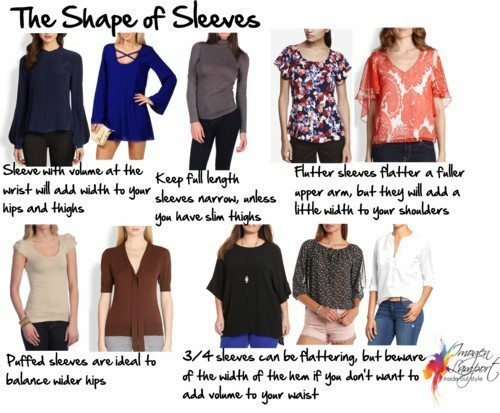 The shape of the sleeve that you wear can make you look larger or smaller, depending on where it ends (watch this video for tips on that topic) and also how wide it is, which is just as important. Wider sleeves add width to the part of the body they end on. 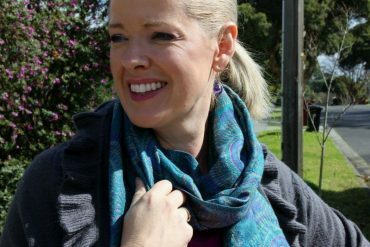 A slim sleeve won’t add bulk to your frame in the way a voluminous sleeve will. Do you want to broaden your shoulders? Do you want to make your shoulders look narrower? Do you have full upper arms? Do you have a large or small bust? 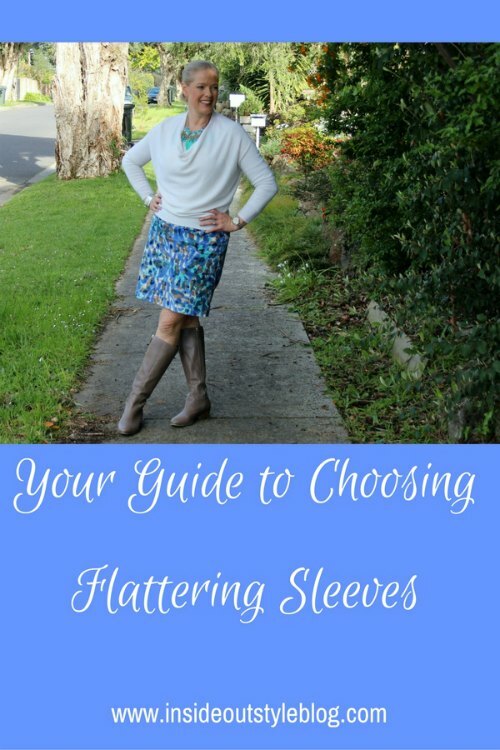 Then you can start to narrow down the sleeves that suit you. Puffed sleeves and gathered shoulders are great to make your shoulders look broader. 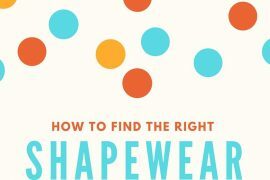 If you want to make them look narrower, then try raglan, dolman and dropped sleeves. End your sleeves on your narrowest point to draw attention to it. The eye fills in the horizontal line between the hems of the sleeves. If you have a defined waist, end sleeves around your waist height. 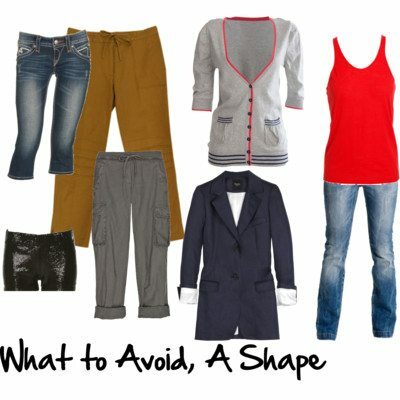 If you have large hips, avoid ending sleeves at the wrists. 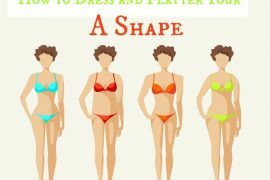 If you don’t have a defined waist end your sleeves above or below your waist. 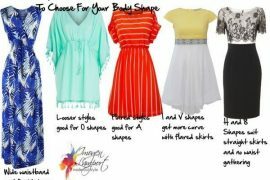 Remember too, that a higher armhole and slimmer sleeve will make your body look longer and slimmer too. Because the eye draws a horizontal line across your body where sleeves end, then if you large busted, avoid a sleeve that ends near your bust peak, instead go for a shorter or longer sleeve. If you have a small bust and want it to look larger then end sleeves at the bust peak. Full upper arms need a sleeve that either covers, or doesn’t have a horizontal hem. Diagonal hems work well as they move the eye away from the arm and don’t create a broadening effect. wonderful post – I love it when you explain things why the clothes have their effect. The post ends with “effect. T” is that ok? Thanks for picking up my typo! You’re welcome! Sometimes I have sometimes problems to see the posts properly on one laptop – so I thought it’s better to ask. One more typo: ‘And at the bust peak’ instead of ‘End at the bust peak’. Great tips. I’ve been leaning towards raglan sleeves lately as I thought they narrowed my shoulders. Guess I was on the right track. Do you still take emailed pics if I’m not quite sure what my shape is? 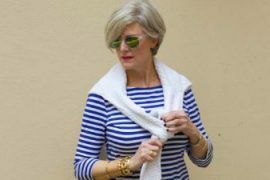 As a petite quickly approaching 60, I find 3/4 length sleeves are the most flattering. I am slim-ish (an hour glass size 4), but I have muscular thighs due to a long history of athletic endeavors. I still wor with weights and watch my diet, but I cannot rid myself of my bat wings. Furthermore, the skin on the inside of my arms where they bend is loose and crinkly. I prefer 3/4 length kimono sleeves in a cropped (not voluminous) jacket or sweater. Also belted jackets look good with the sleeves rolled up to 3/4 th length. Sweaters with slim styled sleeves are good, but lately I noticed the upper arms of sweaters sleeves are a lot more tighter than they used to be. My upper arms looked like stuffed sausages–not a good look. The rest of the sweater fits, but if I go up a size to allow for more room in the upper arm, the sweater is too big and makes me look dumpy. I thought it was my arms getting flabbier, but clothes made from the same designers from a decade ago fit fine in the same size. So, trying on to make sure things skim the surface of my body. I was wondering if other people have noticed that the upper arms of clothes are getting tighter. If so, why is that happening? Could depend on where it is made. Some clothing made in Asia can be quite small in places. Now I know why elbow-length sleeves look terrible on me! 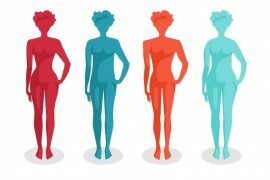 I’m an H with a larger bust, short upper arms, and short waist–elbow sleeves end right at the waist and make me look enormous. I was always told to wear that sleeve length to hide my less than ideal upper arms. Your blog is such a help and I also now know why the wrap dress my husband bought me looks hideous.